The big brand camera companies are committing seppuku in front of our eyes. It’s fascinating. 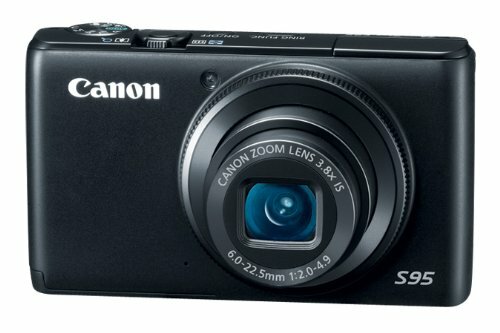 Last week, I bought a brand new Canon S95 camera. It’s a great point & shoot. Maybe the best out there right now. It captures beautiful 10-megapixel images. It’s great in low-light. It’s fast. And it shoots HD video. I anticipate I’ll take about 5 percent of my pictures with it in the coming year. The other 95 percent will be taken with my iPhone. How do I know? Because I had the S90 last year and that was my exact usage pattern. Obviously, the 10-megapixel, $400 S95 is the superior camera when compared to the 5-megapixel, $200 (with subsidy) iPhone 4. But the fact that I always have my phone on me easily trumps the specs. But to me, there’s actually something other than just the portability factor that leads to my usage being so heavily skewed towards the iPhone: connectivity. Smartphones are always connected. Point & shoots never are. When I take a cool picture, I often want to share it right away. With my smartphone, it takes 20 seconds. With my point & shoot, it’s impossible. I have to wait until I get home, upload it to my computer, then upload it to the web. It shouldn’t be surprising at all that smartphones are eating point & shoots’ lunch when it comes to percentage of pictures uploaded to sites like Flickr. Currently, the most popular camera in the Flickr community is the iPhone 3G. Below that are several prosumer-level DSLRs. There are no point & shoots on the top list. And if you look at the popular point & shoot list, you’ll see that all of them are trending downward. Fast. Meanwhile, cameraphones are going the opposite way. Soon, I imagine that several Android phones will join the iPhones at the top of the popular list. It’s a little dumbfounding that point & shoots have been so slow to hop on the connectivity and social bandwagon. The iPhone is now three and a half years old, and plenty of people were taking picture with their crappy RAZR phones and uploading them to the web years before that. The writing has been on the wall for a long time. It stands to reason that as smartphone cameras continue to improve, they were going to squeeze out point & shoots anyway. We’re heading towards a world where the smartphone is the everyday camera and the DSLR is the special occassion camera. But we’re not there yet. I still have some need for a good point & shoot. And so do plenty of other people — the S95 is currently the 19th best-selling electronic on Amazon heading into the holiday shopping season. But the big camera companies like Canon almost seem like they want to speed the process of killing point & shoot camera along. They just don’t seem to get it. “Point and shoot has become point and shoot and share,” Twitter’s Josh Elman tweeted earlier. “It’s sad that cameras haven’t evolved to be networked and make sharing easier. I’m shopping for a new camera now and very disappointed,” he continued. Elman must be going through the same process I went through a couple weeks ago. With no better solution, I ultimately settled on a sort hacked-together one: the S95 with an SD card from Eye-Fi that will add WiFi capabilities to your device. It’s okay. It does allow you to share photos when you take them — provided you’re connected to WiFi. WiFi which you have to configure on your card via your computer beforehand. In other words, unless you’re at home, it’s not much of a solution. Further, given that everything else in the world is hopping on the geolocation bandwagon, you would have thought that the point & shoot makers would at least go there with GPS chips. Nope. Again, the only solution for most of these cameras is the Eye-Fi card. And again, it’s a pretty lame solution. Instead of using a combination of GPS and WiFi to get your location and pin it to a picture like most smartphones do, the EyeFi card simply records the nearest WiFi router address and it will only tag it to your photo if you run it through their (rather lame) software when you get home. And don’t get me wrong, what Eye-Fi is doing is rather amazing given what they’re working with. They’ve essentially hacked the memory card input to make these cameras somewhat connected. But there really needs to be some sort of native hardware/software solution. I know that there are some “social” point & shoots out there, like Kodak’s EasyShare products. But the reviews of those things range from mixed to poor. If I’m going to spend the extra money, I want it to be on the best point & shoot. Like the S95. Sadly, I can’t have the best of both worlds. And I’m not sure I’ll ever be able to until after the smartphones have already killed the genre. In the smartphone world right now, we’re already evolving to the next phase. We’re seeing an explosion of interest is social apps built solely around the camera. Instagram, Hipstamatic, Picplz, Path, DailyBooth, CameraBag, Treehouse, IncrediBooth, Diptic, Burstn, etc. There are hundreds of apps with new ones launching each day. The point & shoot hasn’t even entered phase one yet. It’s really pretty pathetic.